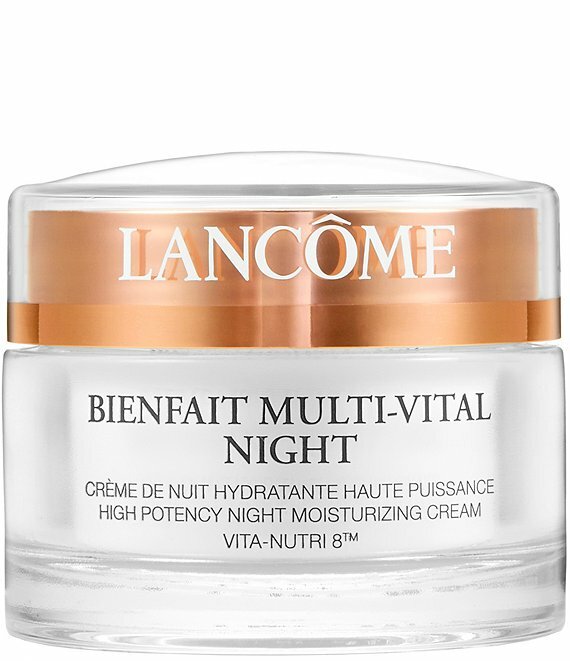 A high potency nighttime moisturizer to help skin renew itself and optimize its moisture balance, Bienfait Multi-Vital Night helps boost your skins high-powered nightly recovery process. Formulated with Vita-Nutri 8, a unique combination of 3 vitamins, 3 minerals, and 2 essential fatty acids - essential for skins well being - to help lock in moisture, stimulate skins vitality, and strengthen its defenses against the assaults of external aggressors. Results: Wake to soft, smooth skin that looks its healthy best. Skin feels recharged, looks radiantly luminous, ready to face the day.